This afternoon, I took Fenwick with me to the store. Once we were in the car, the radio came to life with “Connections,” one of our local, daily public radio programs. 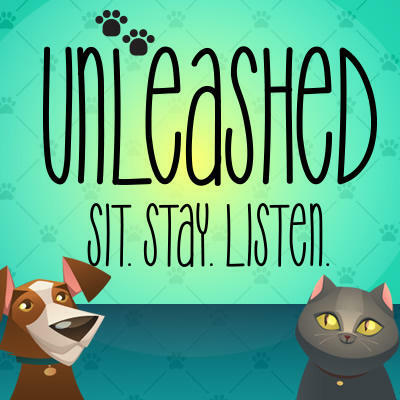 I’m almost always interested in what the interviewees have to say (I got a lot of information for my Common Core post through one of this show’s broadcasts), but today’s discussion was especially riveting because they were talking about service dogs. More specifically, they were discussing facility dogs in the courtroom and how they help witnesses – particularly children – feel safe and comfortable enough to testify. I found myself nodding (and, okay, speaking out loud ’cause that’s what I do) in agreement with the expert (“That’s right! These dogs are totally All Business once they have their capes on!” “They really DO love working!”). Many graduating CCI dogs go on to become facility dogs, helping out in situations similar to this. That’s why we raise CCI puppies – so that, just maybe, they can go on to do this kind of life-changing work. When the pre-recorded segment ended, our local host (Evan Dawson) announced that they only had time for a few more callers. (I assumed that the service dog discussion would continue, so when the next caller had a question about her cat’s dental hygiene, I was confused. I guess this is part of a monthly Pet Show, not necessarily a show about service dogs. Anyhoo.) Seeing my opportunity to spread the word locally about CCI – and maybe, just maybe, attract even one other local puppy raiser – I pulled over and called in, assuming that the lines would be busy or they wouldn’t be able to take me but crossing my fingers nevertheless. To my surprise, I got through to a lovely-sounding lady (I’mma call her a producer ’cause it sounds more official) who asked why I was calling. After a brief explanation, she brightened and quickly told me she’d put me on air. (Score!) Moments later, I heard Evan say that they had time for one last caller (me! ), so I turned off the radio and began my schpiel. I knew the program was about to end, so I did my best to cram in the most important information: we’re puppy raisers raising our fourth puppy for CCI, a lot of these dogs go on to become facility dogs just like the ones mentioned in the broadcast, CCI is an incredible organization that offers dogs for free (FREE!) to people who need them, you can find them online, and if anyone in the Rochester area is interested in becoming a puppy easier, that would really be amazing. It was over in maybe 60 seconds, but when I was done, this crazy high flooded my system: I did it! I gave CCI a shout-out! CCI is awesome! YAY FOR MORE PUPPY RAISERS! Still glowing while we trotted into the store (after stopping to let Fenwick relieve himself), I actually said aloud, “This is an awesome afternoon!” We’d hardly been in the store a minute when we were approached by two woman who asked if they could pet Fen (side note: always ask if you can pet or even greet a dog that looks like its working). They loved on him, we chatted about what CCI does, and Fen did what he always does when we’re out and about: waited patiently, being a marvelous CCI representative. I beamed with pride. After putting a few items in the cart, I could feel the joyful adrenaline still coursing through my system and began to grow a little more full of myself. Look at me, making a difference! We are going places! We are gonna change the world! GO ME!! I had just turned jauntily into a new aisle when I felt the tug on the leash that indicated that Fenwick had stopped moving. Curious as to why my furry Ambassador Of Change had halted so abruptly, I turned back just in time to see him taking a dump in the middle of the home goods section. Making a difference, all right. In a ridiculous stage whisper, I hissed at him to let him know this behavior was unacceptable (as though, you know, he could understand), whipping my head in all directions to see if any of the other customers had seen the Special Dog dropping a deuce near the scented candles. Thankfully, it appeared that no one had noticed (although I did steal a second glance at a woman who had paused momentarily when she heard me violently whispering), so I immediately picked up the poop (and cleaned the floor)… and, ever classy, promptly put the poo bag in my purse so that no one would see it. Fenwick and I hightailed it outside so he could finish making a difference (naturally, despite walking on a grassy embankment for a good 10 minutes, he didn’t do a thing) and then, after disposing of the poo bag, returned to finish shopping. This time, however, I wasn’t feeling quite as ecstatic as I had when we first entered. Getting your pride thoroughly checked will do that to you. They say that true change starts at home. Perhaps, before changing the world, I could work on that whole pride thing just a bit. Adorable, even after causing me to dial it back a notch. 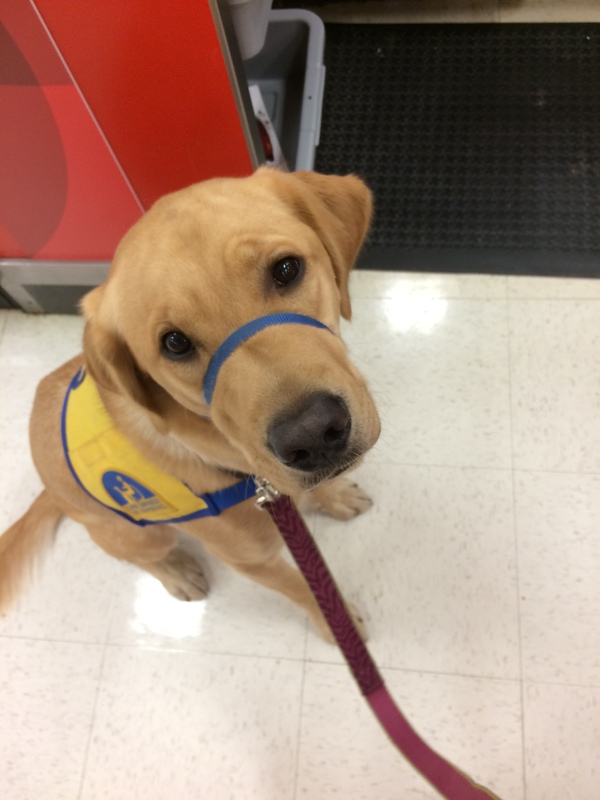 You know you want to become puppy raisers… C’mon! To learn more about CCI, go here.